Robin Williams is at a rehab facility again ...but his people says it's NOT because he fell off the wagon. Williams is at Hazelden Addiction Treatment Center near Lindstrom, Minnesota. Robin is in a part of the facility called The Lodge -- there are lots of fancy descriptions, but it's essentially a program to maintain long-term sobriety. We're told Robin will be staying for several weeks. 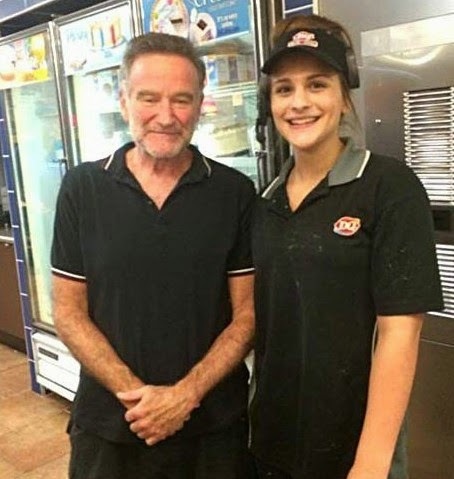 The pic (above) was taken Sunday at a Dairy Queen ... walking distance from Hazelden. Robin has struggled with addiction for decades. He cold turkeyed cocaine and alcohol in the early 1980s and was sober for 20 years ... then fell off the wagon. He went to rehab in 2006. Robin's rep says, "After working back-to-back projects, Robin is simply taking the opportunity to fine-tune and focus on his continued commitment, of which he remains extremely proud."